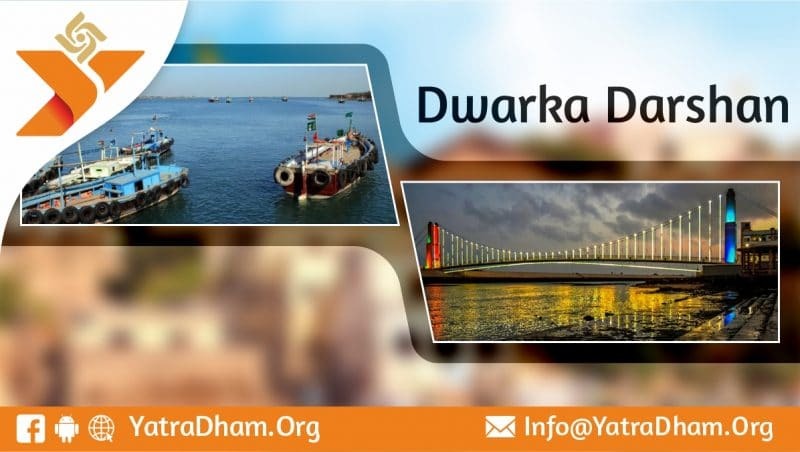 How to reach Bet Dwarka? Bet Dwarka is an island of the Gulf of Kutch. It is the actual residence of Lord Krishna. Bet Dwarka is accessible by boat from Okha. There are boats regularly available from Okha to Bet Dwarka. People from distant places come to visit Dwarka. Then, they go to Dwarkadhish temple. From here they would visit the Nageshwar Jyotirlinga. Nageshwar Jyotirlinga is one of the 12 Jyotirlinga. The shrine is also mentioned in the Shiva Purana. Nageshwar temple is 16.6 Km from Dwarka. You can reach Nageshwar temple by your personal vehicle, by cab or by bus. Nageshwar Temple is 22.8 Km from Bet Dwarka. There are regular buses and cabs travelling to-fro from Nageshwar Temple to Bet Dwarka. Dwarka has its own railway station. Dwarka railway station connects well to all major cities of the country. The railway station is about 1.7 Km from the city centre. Taxis and autorickshaws are easily available to reach anywhere in the city. It is convenient to travel Dwarka by road. Several state transport and private buses run to-fro in Dwarka at regular intervals. Dwarka is connected to several state highways and roads are also quite good. Porbandar Airport away is nearest to Dwarka. As, Dwarka is 110 Km from Porbandar Airport. Even, Jamnagar Airport is 127 Km away from Dwarka. Jamnagar Airport and Porbandar Airport is well-connected to major cities of India. After, reaching the Airport, you can easily travel to Dwarka either by public transport or by hiring a taxi.